Break out the credit card! The famous Paris winter sales will be kicking off this year on January 6th. 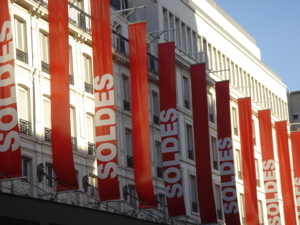 Most of the stores in Paris including the famous department stores, boutiques, and even furniture stores take part in the annual winter sales. The Paris sales run for six weeks and discounts start at around 30% and climb to 70% or 80% as the stores attempt to clear out as many items as possible from the previous season. The best bargains go quickly so you need to be prepared. Act like a true Parisian shopper and get to the stores the day before the sales start. A lot of the sales prices will be posted already and while you are not allowed to take advantage of the sales yet you can scope out the best bargains and even try things on so you know exactly where to go and what to pick up when the sales start. Some savvy shoppers wait a few weeks until the second or third price reduction. This strategy will only work well for items that are plentiful and not in high demand. Remember to check each stores return policy as often items purchased during the big sales are either non-refundable or have a very limited period of return. Shop at the Galleries Lafayette Montparnassee. While it's not as large as the main store it does have a lot of the same designers and it's a much quieter shopping experience. Looking for a classic French handbag or purse? For the best selection of bags and purses go to Galleries Lafayette, Printemps, BHV or the Bonne Marche. If you already know the brand you want then go right to that designer's store. 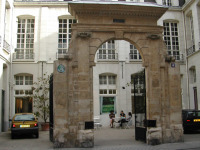 Shop the main department stores but also check out the smaller designer boutiques in Saint-Germain-des-Prés, the Marais and around Les Halles. One of my favorite places to go is "rue du Jour" near Les Halles where the French designer "Agnès B" has her original womens, mens and childrens boutiques. Shoes are astronomically expensive in France but during the sales you can pick up some real bargains on high-end boots and shoes. Top French brands to look out for include J.Weston, Berluti and Corthay. 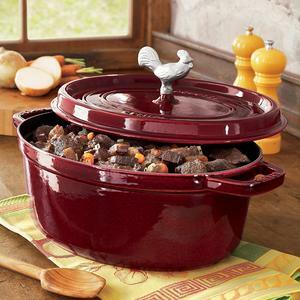 If you can carry them, they are extremely heavy, then "Staub" casseroles are a great buy in the sales with prices often slashed by 50%. Staub are amazing for braising, stewing and simmering, spikes inside the lid drop evaporated juices back into food for continuous basting. BHV normally has good prices on these during the sales.